Banana Republic is one store that I gravitate towards. I should be honest & say that I gravitate to their markdown section because I usually won't splurge on their full-priced items. If you'd like to dive further into that you can see this post. 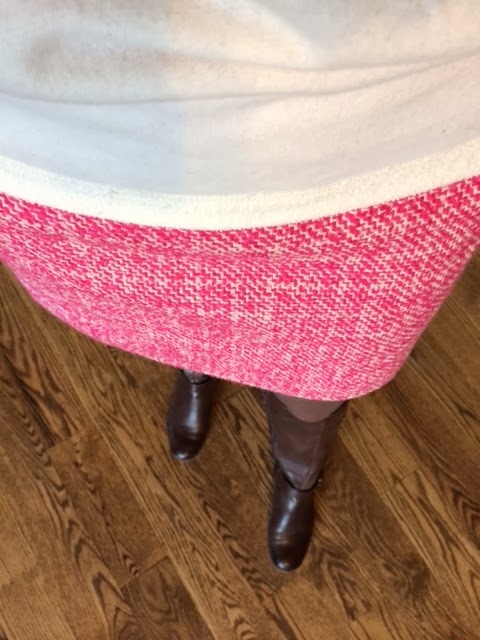 Anyway, sometime in the Fall I saw this Pink Tweed Skirt & it was love at first sight! At that time it was a new arrival & there was no way I was going to dish out $79.50 for it. Fast forward to January & it's on markdown! So of course I jumped on it this time! I paid a whopping $19.86 including tax - that's my kind of shopping right there! I'm excited about this skirt as it offers a lot of possibilities. Thus far I've only worn it once, but I have a lot of plans for its future. When I first saw it in store, they had it paired with a simple cream sweatshirt, so I mimicked that look with the outfit below. I found this self-embellished cream sweatshirt at Target (you guessed right - on the clearance rack for $5.98). I went with my tall brown boots & brown tights on this day (although in retrospect I may have liked an opaque cream tight instead). 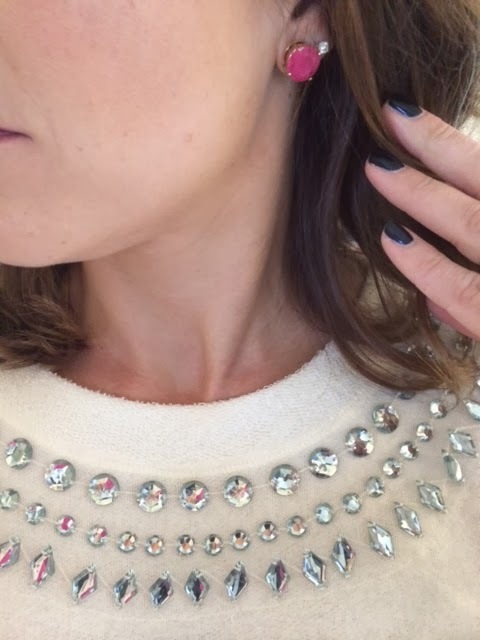 Since the top is self-embellished I kept with simple studs for my earring choice. Overall it was comfortable & warm! Of course I would never leave you with just one look for an item, so let's talk about other ways I plan on wearing this skirt for the rest of this Winter & into the Spring. After Spring, I'll probably put this away until Fall simply because the skirt is a fairly heavy material. This is a great wear-to-work option with a simple Chambray shirt & statement necklace. Throw in some leopard print if you'd like & you have an outfit you feel confident in! This would be a great option for a more casual look - perhaps on the weekend or a more relaxed social gathering. Graphic Tee's are really becoming a staple in wardrobes anymore because you can pair them with a "dressier" item for a more casual look. Add a cardigan for warmth & a layered look. These cut-out booties & chevron jewelry add a nice edge to the outfit. Lace is big this year (I feel a new post coming on...wink,wink), so why not add a beautiful lace top to this skirt. This creates a nice mix of textures! Add a denim jacket & floral scarf for a soft & feminine ensemble. I liked this with the opaque tights & brown ankle boots already pictured here. This one may be my favorite, especially since I already have the scarf & jacket...maybe that gives me an excuse to find a chic lace top..?? That's all the examples for now, but be sure to follow the blog on Instagram & Facebook as I post updated pictures of how I wear featured items down the road. As we inch closer & closer to Spring I'm really looking forward to pairing this skirt with some fun floral patterns. Let these boards be an inspiration to you...what do you already have in your closet that's a similar color, or maybe just a similar shape that you can re-mix & wear using these ideas to open new possibilities? I never want it to seem that I am promoting you to run out & buy something new. First & foremost, think of how you can use what you already have. I'd love to hear what you come up with...be sure to let me know!! I agree...I'm thinking I'd like a softer pink pant or shorts for the Spring & Summer as well. I have some pink shorts & a pair of capris but they are a bright "hot" pink, & right now I'm feeling the "softer" pinks. 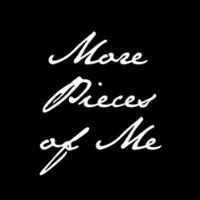 I'll be on the look out & will be happy to keep y'all posted on what bargains I find! :-) Thanks for stopping by! That embellished sweater is really pretty. I love pairing tweed with chambray! Super cute. your sweater - so cute with the embellishments! Stopped by from The Pleated Poppy. 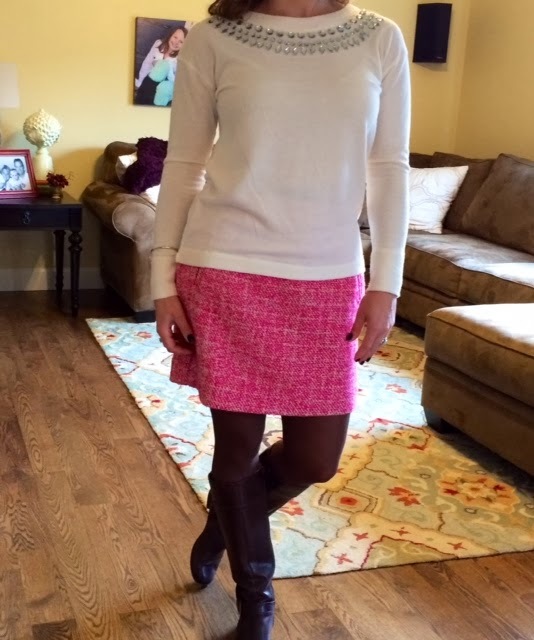 Banana Republic is one of my faves too, and I'm loving that pink tweed skirt! (By the way, somehow the link to my blog got skewed a bit. It is musingsofahousewife, not musingsofaREALhousewife. 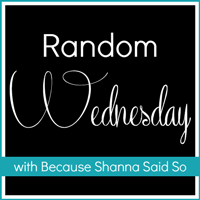 :-) Thanks for linking up this week! !